The stage comes to life with the energy, talent, and enthusiasm of Lisa, Theresa, and Daniel Hanson. 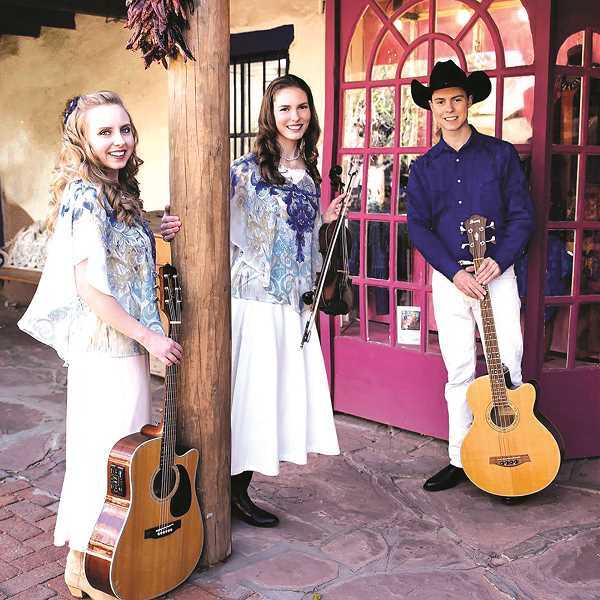 Dazzling audiences everywhere with new and fresh arrangements, this dynamic trio brings you the best of Western Swing, yodeling mastery, rousing fiddle tunes and blazing harmony combined with humor and audience participation. The beautiful harmonies and vocal arrangements of The Hanson Family have gained them much recognition in the music world as well as the honor of winning, among other awards, the 2014 Academy of Western Artists Duo/Group of the Year, the 2014 Western Music Association Crescendo Award, the 2013 Kamloops Cowboy Festival "Rising Star Showcase", the 2016, 2015 and 2006 WMA Marilyn Tuttle "Best of the Best" harmony award, and the 2005 WMA "Youth Yodeler of the Year". They have entertained at the Alaska State Fair, Pendleton Roundup, Paramount Theater in Seattle, New York City Center Theater in New York, the Wyoming State Fair and hundreds of other events and venues across the US and Canada. With great instrumentation, spectacular yodeling mastery and a deep love for music, The Hanson family is fast becoming a popular group in the entertainment world!